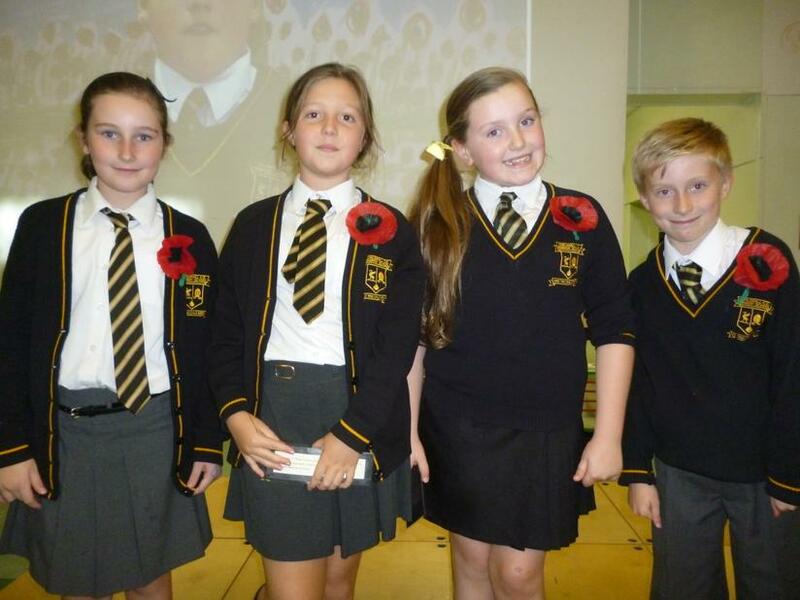 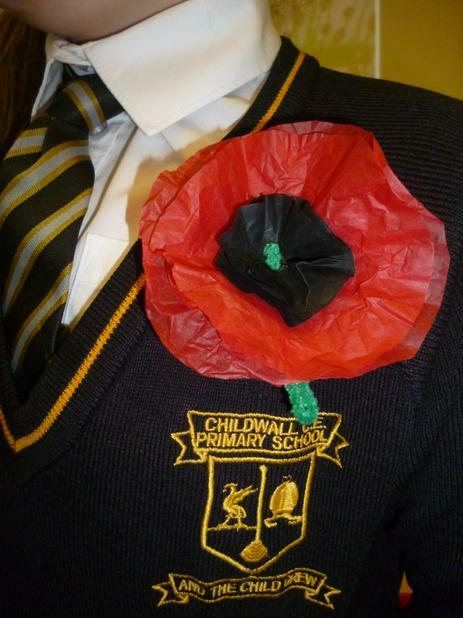 The school declared Friday 14th November 2014 as Poppy Day to commemorate 100 years since the outbreak of the First World War. 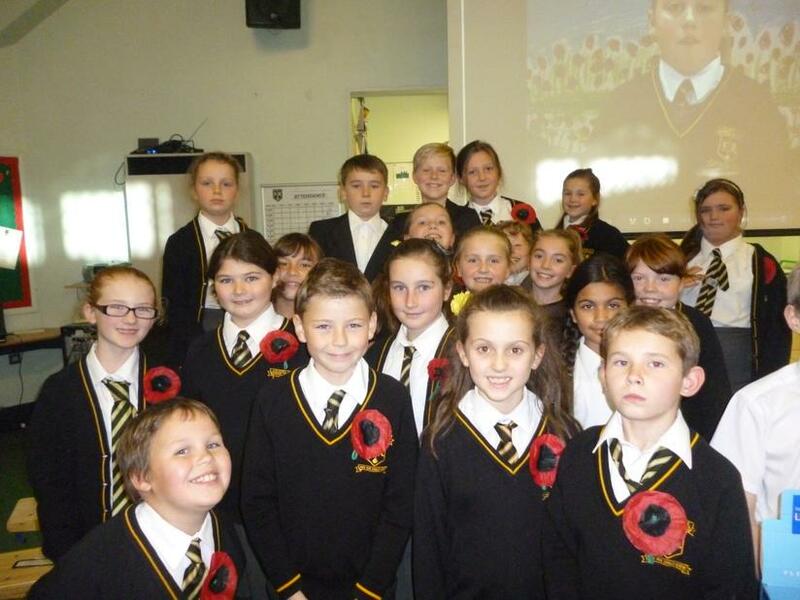 Our Year 5 children performed the Remembrance Collective Worship for the school and then their parents. 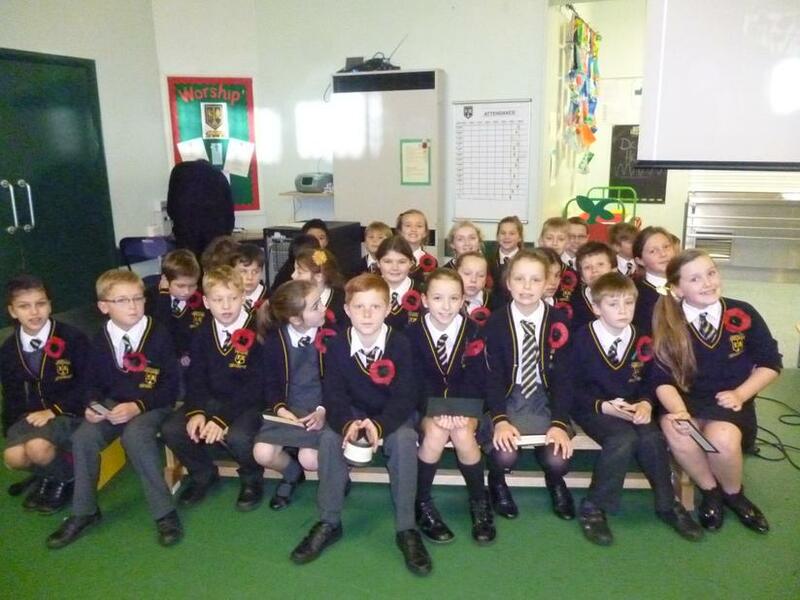 Each class engaged in different WW1 activities and got involved in singing songs from World War One and ‘It’s a Long Way to Tipperary’ could be heard across the school. 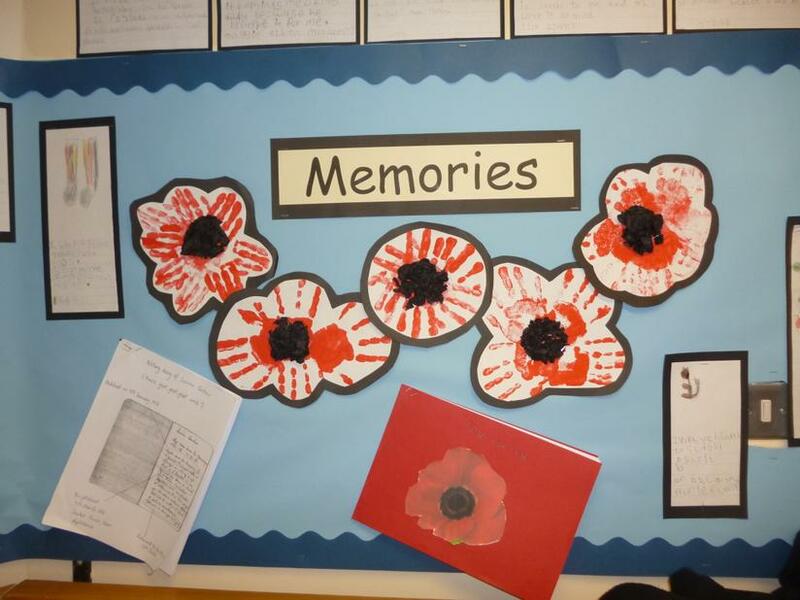 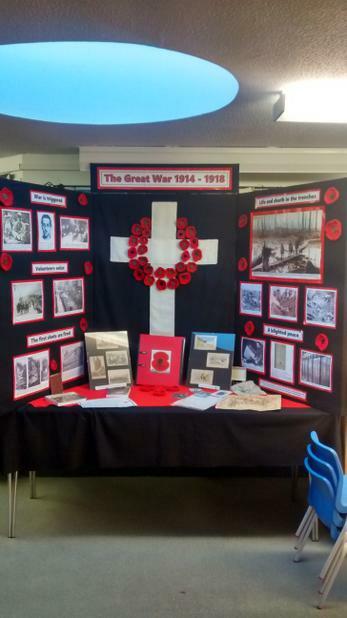 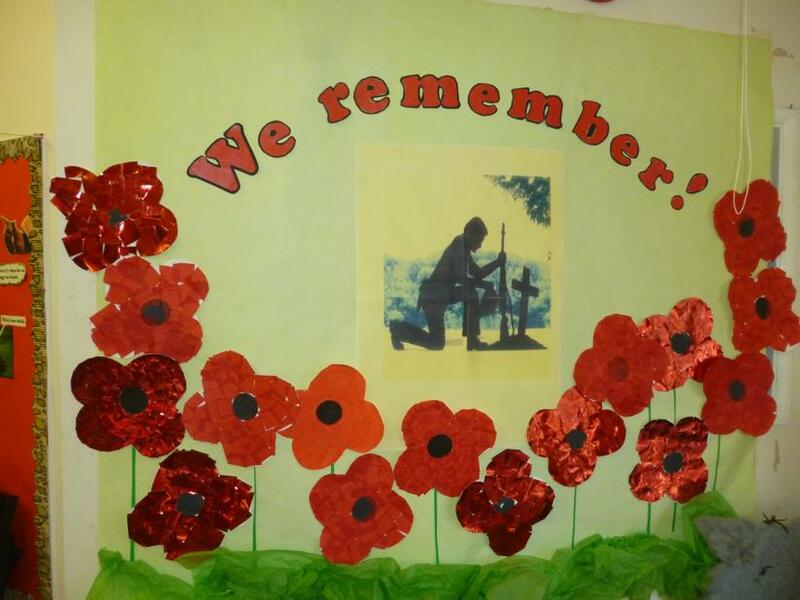 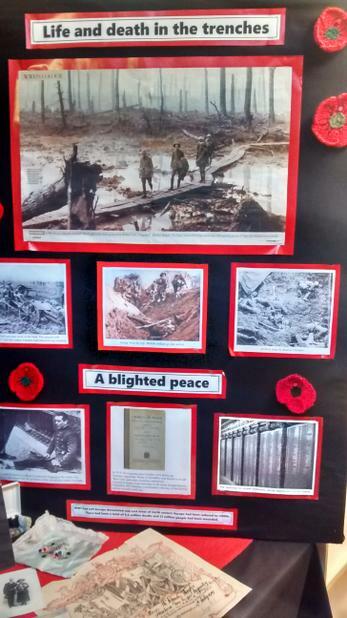 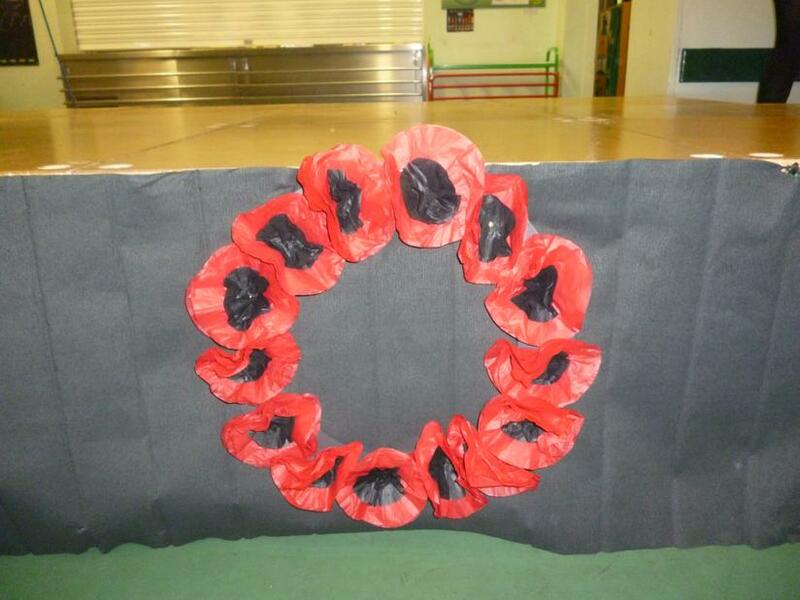 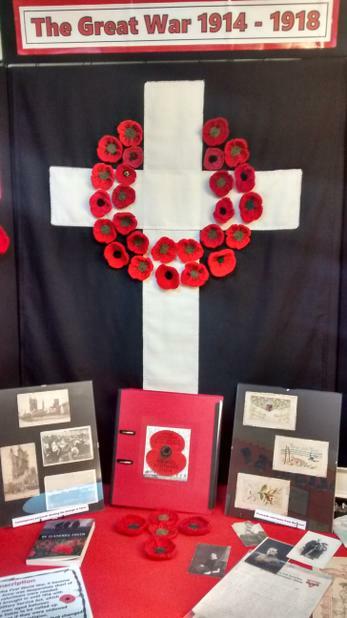 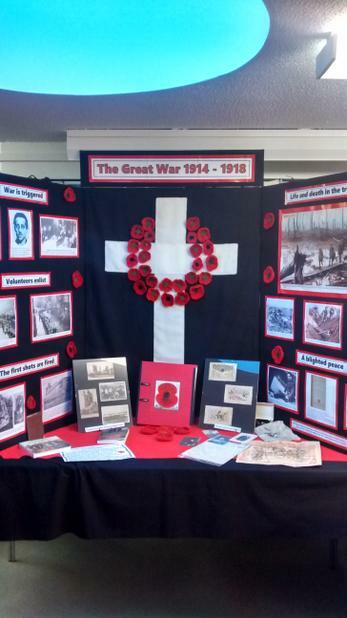 The school had lots of displays to help the children understand Armistice Day. 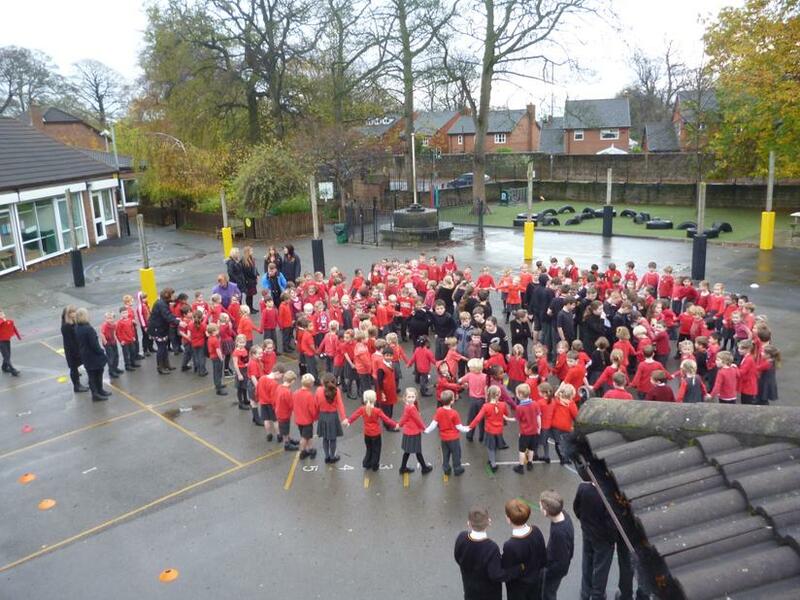 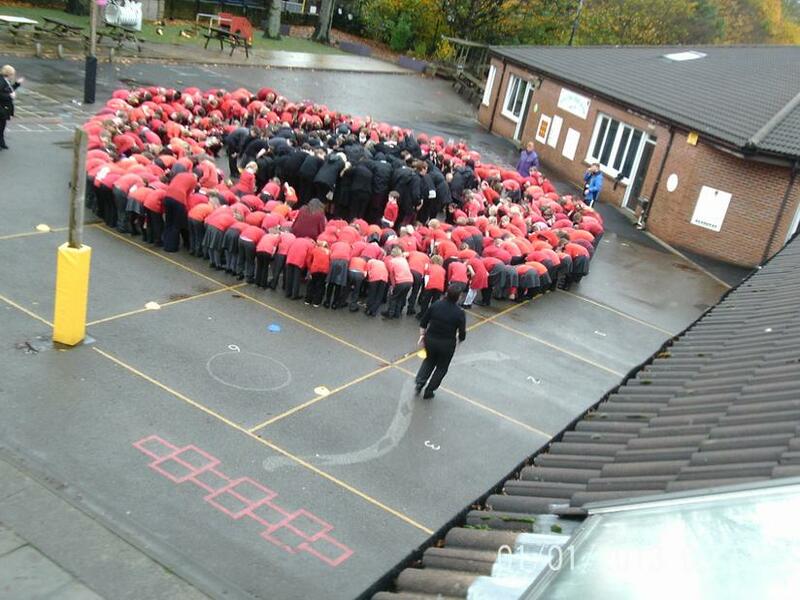 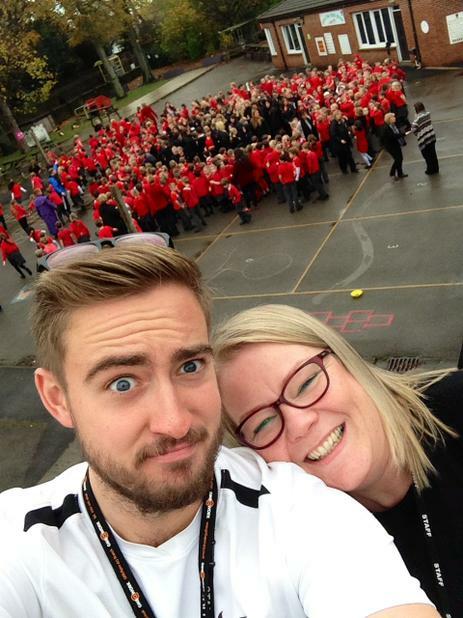 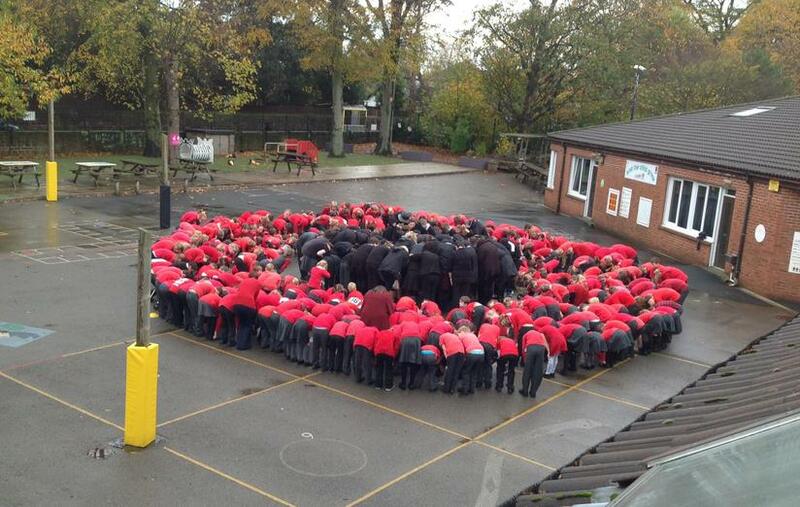 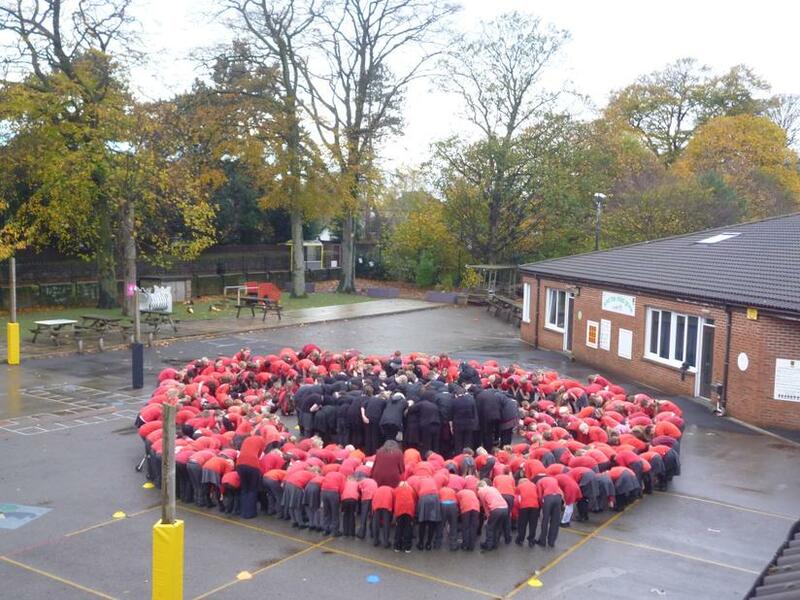 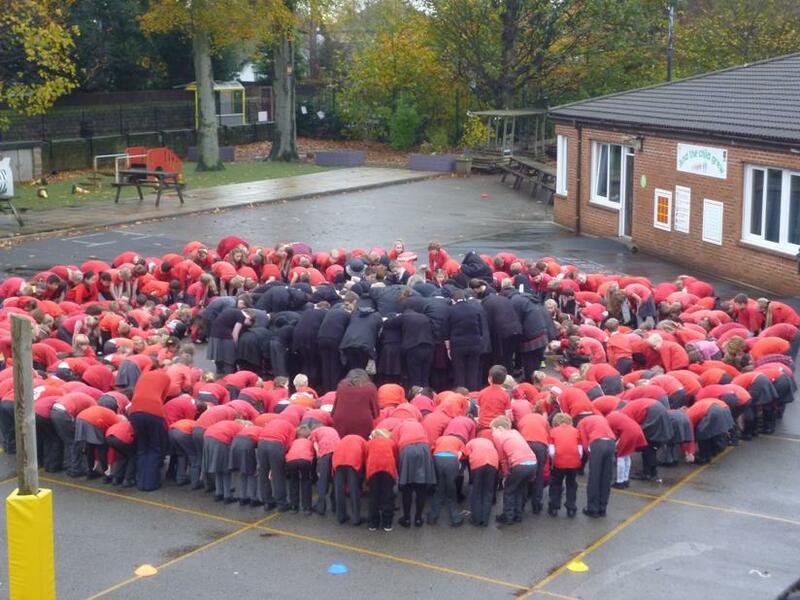 Pupils and staff came into school in either red or black and gathered in the playground in the shape of a poppy to create a living picture.